Rule-based automated provisioning of all end-user configurations based on Active Directory. Cisco telephony deployments can now automatically synchronize telephony details from Microsoft Active Directory. 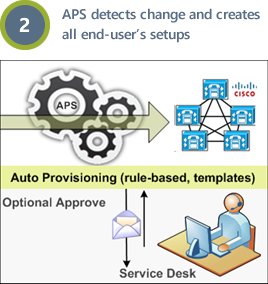 Auto Provisioning System (APS) allows for rapid service provisioning and fault-free commissioning of every Cisco phone user in the enterprise based on the user's settings in Microsoft Active Directory. 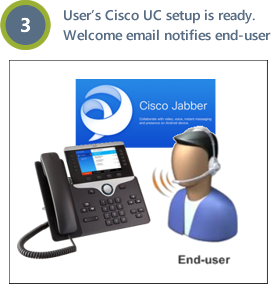 APS can automatically create all end-user setups for Cisco UC such as multiple phones with automated extension allocation from its site, device profiles for Cisco Extension Mobility, Jabber, CSF, RDP and voicemail. Companies can now automate any Cisco UC deployment and reduce provisioning costs by using the Uplinx Auto-Provisioning System. 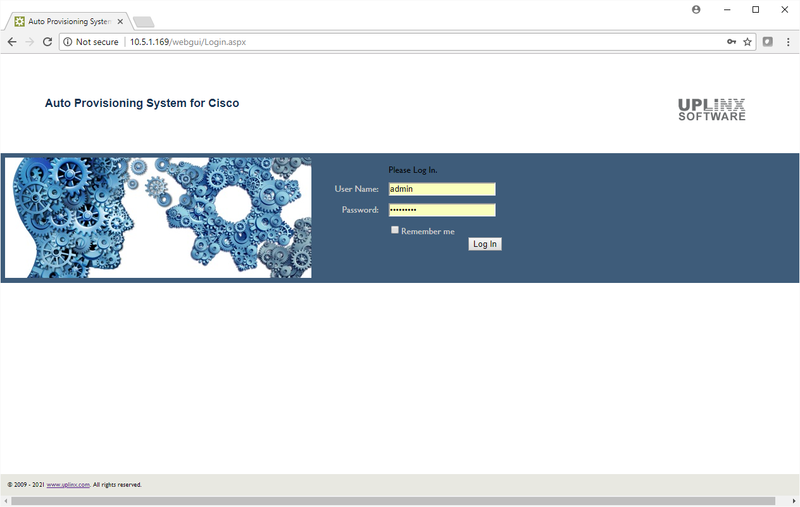 Any combination of Cisco phone(s), Jabber, CSF, RDP with auto allocation of extension(s) from the site extension range. Shared extension(s) and pre-allocated extensions are also supported. Presence on Cisco IM and Presence (IMP/CUPS) and Microsoft Lync. View this practical demonstration of the Uplinx Auto-Provisioning System. Active Directory user settings can now govern which configuration items are configured for an end-user on Cisco Unified Communications. AD user settings are tracked by the Auto-Provisioning System and changes to location attribute, names or assigned extension create provisioning jobs. Any system-generated job can be approved by a site administrator before being executed. This allows to fully administrate standard Cisco UC configurations via Active Directory leading to a 98% reduction in manual provisioning. For ad-hoc provisioning such as resetting PINs, for more complex setups or when AD users cannot be classified, the help desk or site telephony administrator can use the Uplinx Provisioning System Console to select telephony specific settings such as the site, the extension or the calling permissions to complete the provisioning request. Extensions can be predefined in the AD user, assigned by a telephony administrator or automatically allocated from the site extension range. During commissioning, the allocated extension will be updated in Active Directory to reflect the commissioned extension of the user. This means that extension information is always accurate across Cisco UC and Active Directory without having to manually manage free and used extension lists. Any system generated job generates an email notification to a site administrator requesting approval before being executed. This ensures that the IT team is in full control and can quickly check the configuration details of a suggested job by the system. One or multiple jobs can be approved within seconds from a web based approver screen. 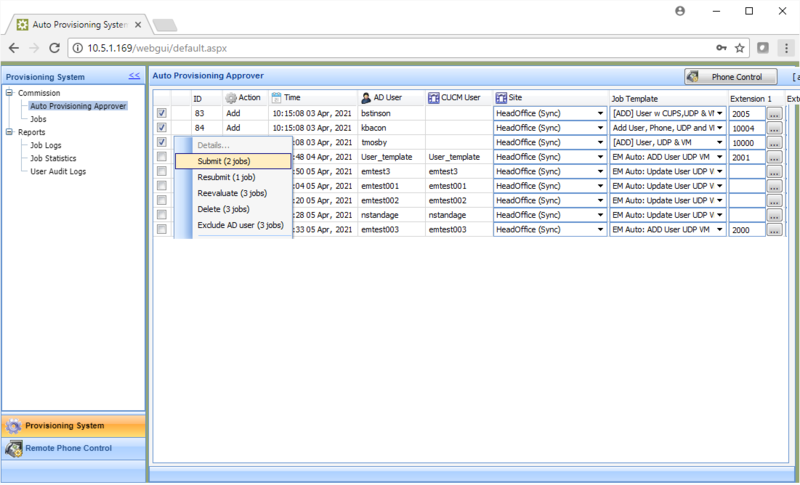 Admin control can be assigned to specific site user groups. Any combination of phones, device profiles, Jabber, soft-phones, RDPs, presence and voicemail configurations can be managed automatically by APS leading to a 98% reduction in manual provisioning. Each end-users' configuration is controlled by settings within the AD user configuration item and can be preset by existing Active Directory management systems during, or after the Microsoft provisioning process. APS will then create the corresponding configuration items for Cisco Unified Communications. Uplinx Auto-Provisioning is an automated system to add, update or delete Standard users for Cisco UC. The system will automatically email you alerts when new, updated or deleted users appear in Active Directory. Approve the suggested actions to change the CUCM configuration. 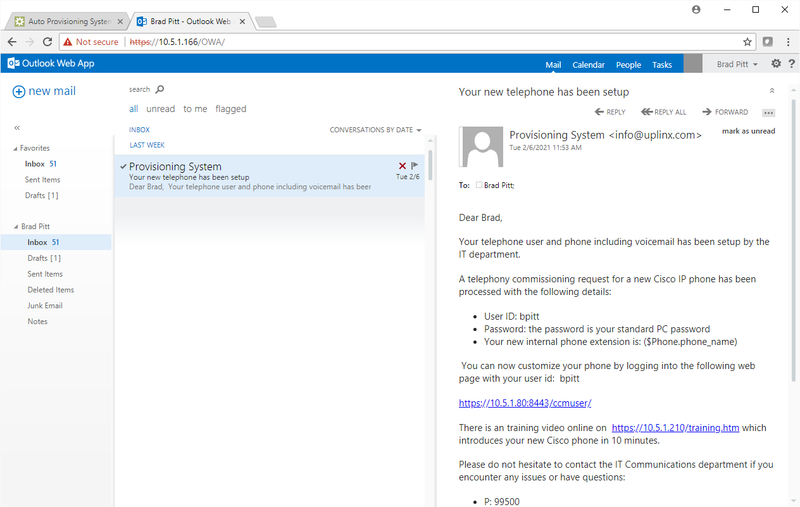 An email will be sent automatically to notify an end-user of their new login details and how to use their setup. UPLINX has extended the Provisioning System to allow for fully automated, rule-based provisioning for any end-user setups required by Cisco UC based on the user's setting in Microsoft Active Directory. CUCM end-users, phones, CSF, Jabber, RDP, voicemail, logged out phones and device profiles can now be automatically provisioned (added, updated and deleted) based on defined enterprise rules when changes are detected in the user settings of Microsoft Active Directory. The Uplinx Change Tracker, part of the Auto-Provisioning System, detects added, updated or deleted users and assigns a site and telephony class to generate an auto provisioning job. The system supports multiple CUCM clusters, each with multiple sites and telephony administrators. To facilitate an auto-provisioning job, a filter and rule module maps AD user attributes to telephony classes that contain Cisco specific settings. CUCM users, phones and device profiles are commissioned by using templates and telephony site specific definitions. The system can be easily and rapidly customized via the web GUI to accommodate a wide range of configuration options. Auto-Provisioning can also be initiated from any third party system which can utilize the UPLINX API for provisioning. Any third party system or requirement can now be integrated by utilizing the provided API code samples. Administrative efforts and costs are minimized. Rapid automated service provisioning and fault free commissioning for every Cisco user. Administrative efforts and costs are minimized when telephony users are synchronized to Active Directory. 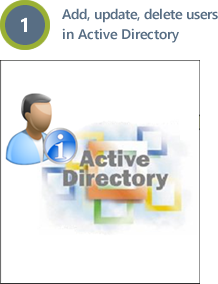 Automatic detection of added/changed/deleted users in the enterprise through the Active Directory change tracker. Daily telephony MACD operations are automated and can be managed by the service desk. Now Cisco experts can concentrate on more advanced tasks - avoiding repetitive tasks and staffing issues. All user's information can be setup at the very beginning in Active Directory, only requiring a single job to be raised to a service desk. This avoids having to raise a 2nd request to the telephony service desk. User extension information in Active Directory is now always in sync with the Cisco phone extension.